In order to continue to offer you the lowest prices anywhere on Padron cigars, we can no long offer Padron cigars in their original full boxes. They will now be shipped to you in bundles (or 5 or 6-packs) rather than the traditional box you're accustomed to. Please rest assured that they are still the same, first-run, high-quality authentic Padron cigars you've come to know and love. We apologize for any inconvenience this causes, and please feel free to call our friendly and knowledgeable customer service team with any additional questions. We hope you enjoy these fine cigars at a value unavailable anywhere else. The below item has a MSRP of $11.00 and normally sells for $9.00 Get it now for $6.00 when you add Padron 2000 Natural to your cart. Great smoke at a very reasonable price. I have not been able to find a better price for this product than @ Best Cigar Prices. Also very good. All Padrons are good, I like the maduro better. I have always enjoyed Padron as its one of the leading cigars in the world. But I've never tried the 2000 and at about $125 for 26 I thought it was worth a try. Amazing. Great burn, great draw, great flavor and not as strong as the maduro. A perfect cigar which will now have a reserved place in my humidor. I really enjoy the draw and subtle smoke I get from the Padron 2000 naturals. This is one of my go to's for a relaxing smoke when time is short but a good cigar is desired. Same great cigar else where but cheaper. You don't get the box but I just put the cigars in my humidor and get rid of the box any way. I buy these all the time. I don't think I've ever had a bad stick. The flavor is always spot on and draw and burn is consistent. That coupled with a good price makes them my favorite. There are certainly cigars with better flavor, but for the money these rock! I enjoyed this smoke and would purchase pardon again. I find the Padron 2000 to be consistent in construction, taste, and draw. Have smoked these for years. Love these Cigars. Burn well taste great. Tried others but always came back to Pardon. Best Cigar Prices delivers quick and truly has the best prices I can find. I have enjoyed Padron 2000 (and 3000) for many years. The quality and construction is outstanding and consistent. It's a very smooth and flavorful smoke from first light up to the last inch. 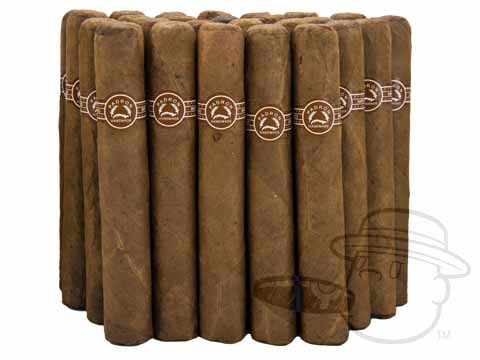 Padron is consistent and reliable; I always kn ow exactly what to expect and that is perfection! I needed a bundle for the Mardi Gras parade for me and my friends quickly and BEST CIGAR PRICES met my needs. Good value but I prefer the maduro 2000's. A very powerful cigar for the experienced smoker. Great draw, full flavor and a nice finish. I like it! The Padron 3000 is my daily smoke but I thought I would try the 2000 as well. Same great cigar just a little smaller. Very consistent, breathes great and that same Padron taste! My favorite one can’t say anymore buy it! Great cigar. Burns great. Smokes great. This is my favorite cigar under $10/stick. It's smooth and flavorful and I love the texture of the wrapper. I would smoke these everyday if I could afford it. Some of the best made cigars in the world, Padron but certainly not the most expensive ones! Always easy draw, well constructed, and very enjoyable. I knew of the prestige of the Padron brand, but didn't fully appreciate the step up in quality the 2000 was. Beautiful, consistent wrapper, understated which brought all the attention to the cigar itself. But looks can be deceiving. When I finally lit it up...looks weren't deceiving. Had a really pleasant, mild bouquet. The draw was perfect, flavors were very nice throughout - it didn't pick up that harsh taste some cigars can take on while you work towards a nub. It was just a very "regal", fun smoke. Now that I have a few more varieties of cigars in my history, this one still stands out as one of the absolute best I've tried. Can't recommend it enough! have tried many cigars but always come back to my go to Padron natural . great taste, great construction, love that you save me some cash and send them with out the box. Every Padron I've smoked has been consistently great. Pardons do it right. Padron makes a variety of amazing cigars. This is a great smoke for all occasions. Great draw, good burn, amazaing taste and after taste! Padron 2000 Natural is rated 4.4 out of 5 based on 43 customer ratings.